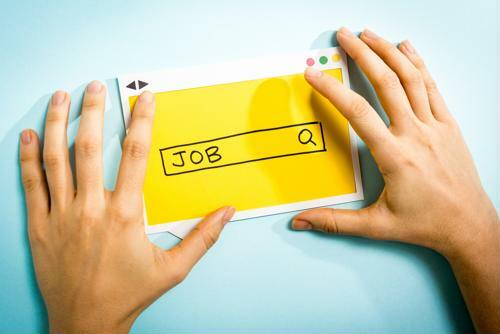 What's the best practice for responding to an online job ad? One of the things people may not always realize when they're applying for jobs online is hiring managers don't always see their resumes or cover letters. That's because many companies use artificial intelligence software that filters out applicants who don't fit within certain parameters. Fair or not, it's an increasingly common practice, and it's wise for job seekers to make sure they know how to "beat the system" and ensure they clear the filters. Perhaps the best way to skirt a screening system is to mirror the language of the job listing somewhat closely, according to U.S. News and World Report. After all, if companies are using such a system to filter out applicants, the AI's decisions are going to be based on what the firm puts in the job description in the first place. As such, it's wise to make sure to identify key phrases from the listing and put them into a resume or cover letter. Indeed, these systems somewhat necessitate that applicants rewrite, or at least heavily revise, their resumes and cover letters so they better fit what the listing says, the report said. If they're only going to choose one of those things to alter every time they apply for a new job, however, applicants would be wise to focus on the cover letter. "Despite the cover letter being digital, it's often the first thing recruiters read when viewing candidate profiles - even ahead of the resume," Colin Day, the founder and chief executive officer of a screening software company, told the publication. "Use the cover letter as an opportunity to showcase your personality, qualifications, and desire for the job." Before submitting a resume and cover letter, applicants should also make sure those documents are formatted properly, because automated systems might get tripped up by overly complicated formats, even those that would typically read well to a real person, according to Lifehack. In addition, using standard web fonts such as Arial, Times New Roman, Georgia, and the like is also a good move, to ensure there's nothing the AI wouldn't be able to read. Once job seekers have gotten around a system and actually put their resumes and cover letters in front of hiring managers, it's also a good idea to make sure their other online information matches up, according to Forbes. That means regularly updating public Facebook or Twitter profiles, and of course all the information that's listed on their LinkedIn pages. Likewise, on both documents sent as part of an application and social media profiles, it's important for job seekers to be thorough in searching for any mistakes, typos and missed sections. It can be easy to enter the wrong information on a certain line, especially if there's autofill, so going over everything with a fine-tooth comb will ensure companies see candidates as highly competent.